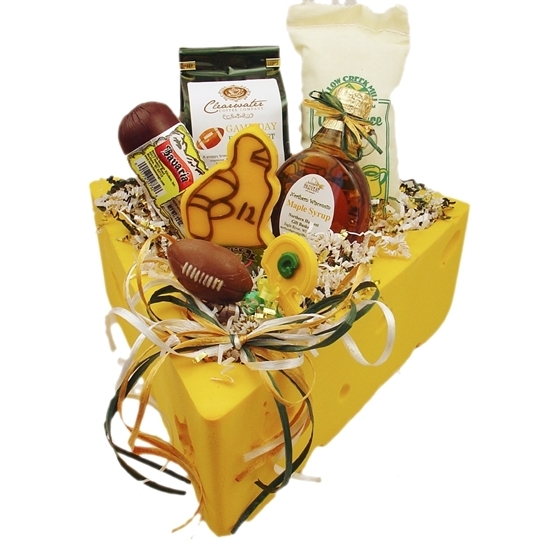 Festively decorated gift bucket filled with gourmet Wisconsin treats to help you get ready for the big game and keep you snacking throughout! 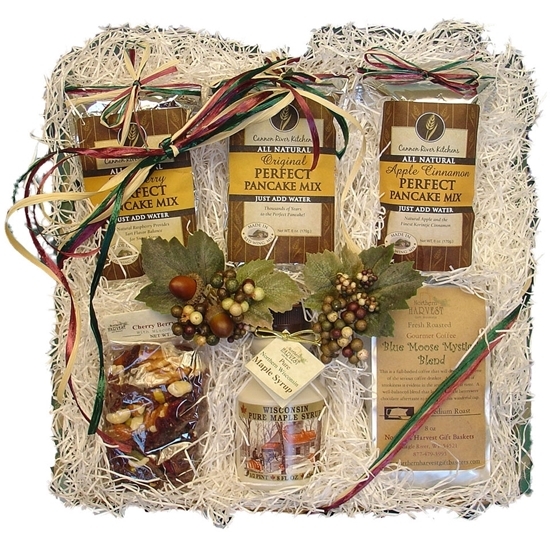 This gift box filled with breakfast goodies will get anyone going in the morning. 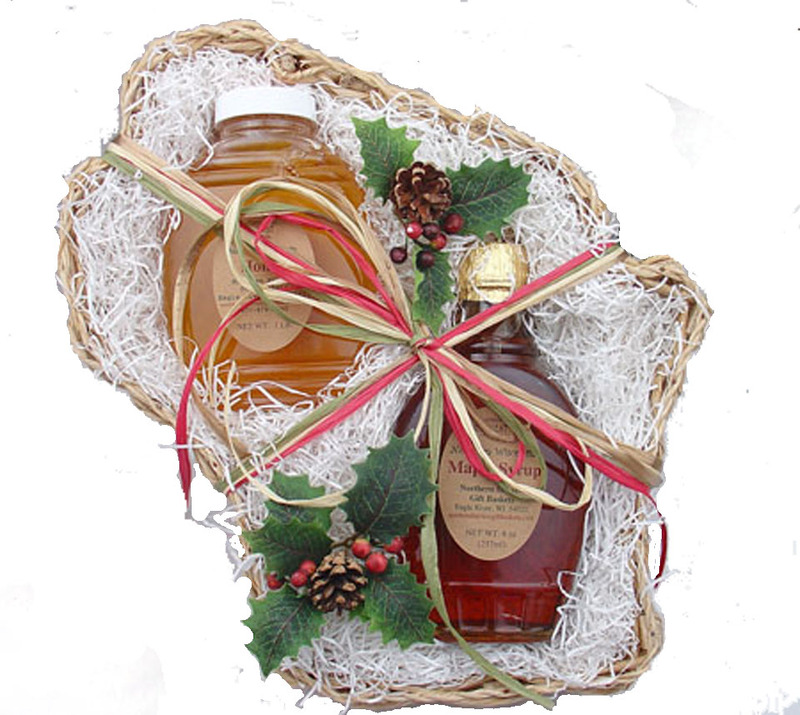 Make fresh pancakes to top with pure maple syrup and enjoy a pot of Clearwater Lake Gourmet Coffee which is roasted fresh daily, one pound at a time prior to shipping. 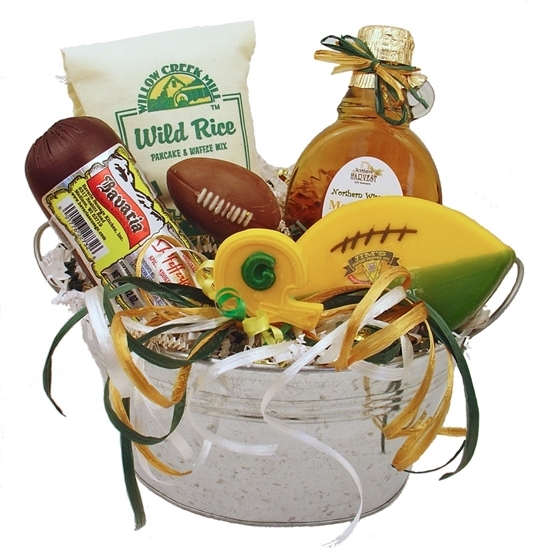 Festive Gift Bucket filled with Wisconsin snacks to last throughout the game! 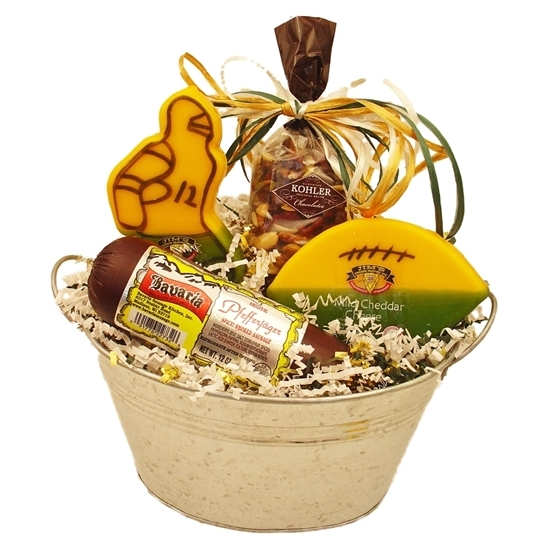 Celebrate good times with Chocolate Covered Peanuts, Wisconsin famous Cheddar Cheese, outstanding Bavaria Smoked Sausage. 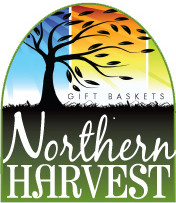 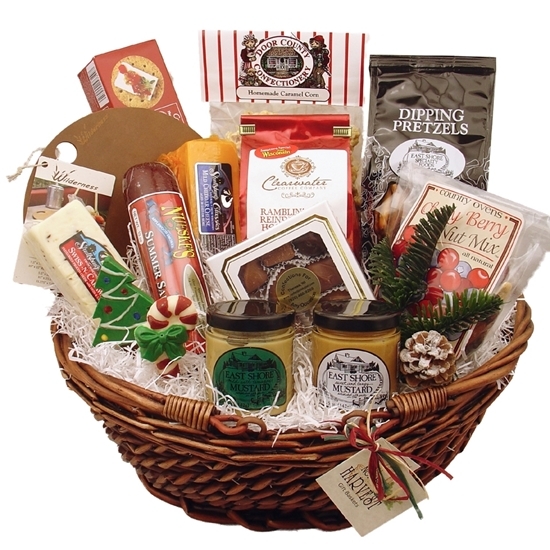 Bring back memories of Wisconsin vacations with this Festive Gift Bucket filled with Northern Harvest pure maple syrup produced in the forests of northern Wisconsin. 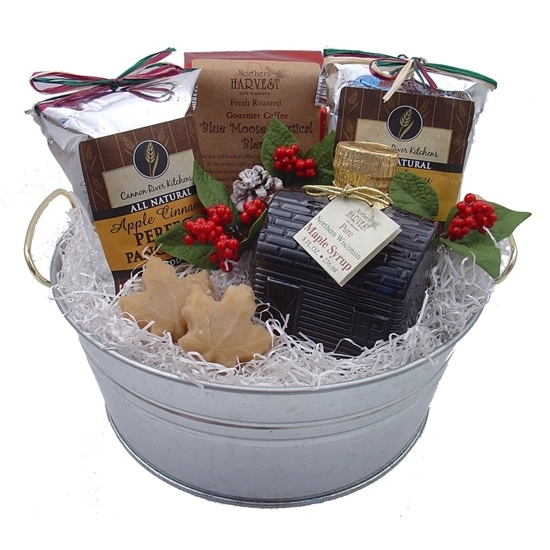 Our Clearwater Gourmet Coffee is roasted one pound at a time in Three Lakes, Wisconsin.